Boone County Unit President Recil Skinner, shown here in a very slightly retouched photo, recently attended the Unit Leaders Summit hosted by MRTA. 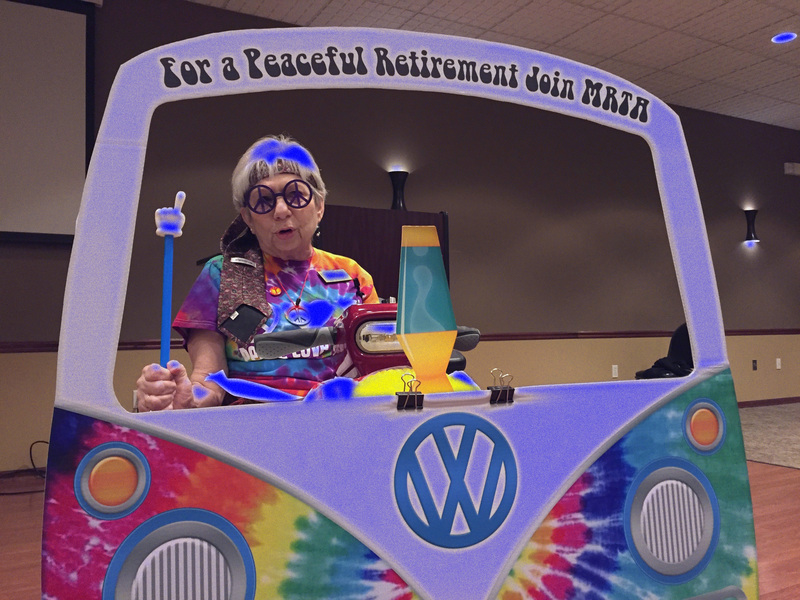 The theme was "Peace, Love, MRTA." The BCU vice-resident, Hap Hairston, also attended. 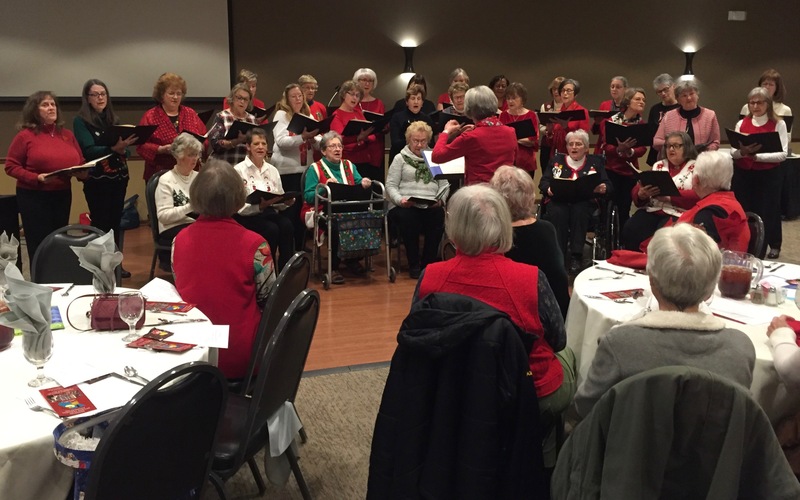 At the December meeting, members of the Boone County Unit were entertained by the Mother Singers vocal group singing holiday songs. The Boone County Unit installed the new officers for 2019. Pictured here (l. to. r.) are Marilyn Skipper, treasurer; Jill Barr, 2nd vice-president; Recil Skinner, president; Hap Hairston, 1st vice-president; and Jan Loudenslager, secretary. 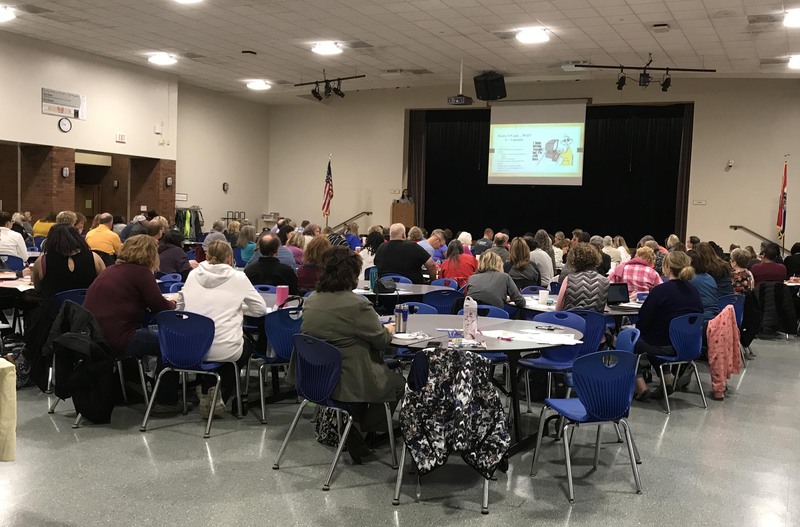 On November 3, the Boone County Unit held an informational session on retirement planning which was well attended by active teachers. The Boone County Unit received the 2017 Unit of Excellence at the MRTA Annual Meeting on September 12, 2018. From left to right, Marilyn Skipper, Mary Ridge, BCU President Betsy Rall, Jan Loudenslager and BCU 1st Vice-President Recil Skinner accepted the award. 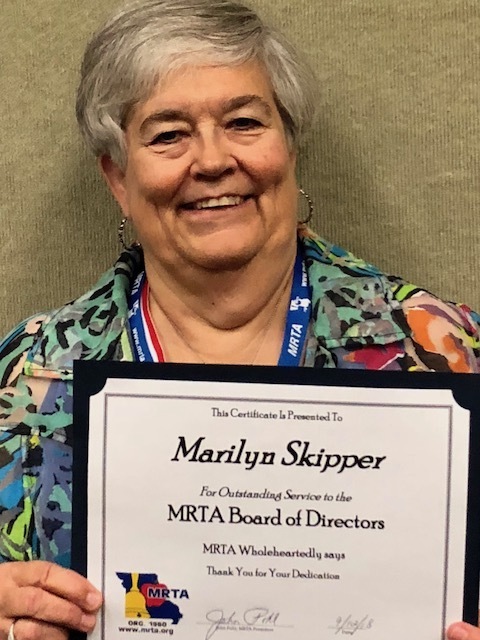 Also at the annual meeting, BCU Treasurer Marilyn Skipper received a certificiate from the MRTA Board in recognition of her years of service on the Board. 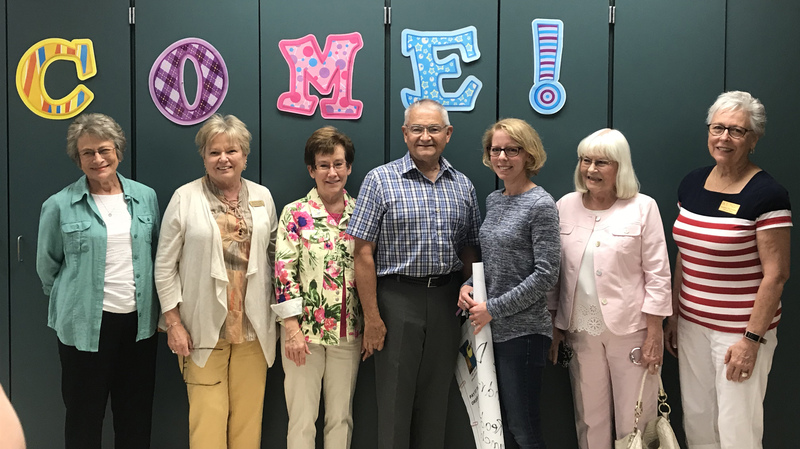 During September, representatives from the Boone County Unit have been pleased to join MRTA Region IV Vice-President Maureen Hacker in awarding MRTA grants to educators in Boone County schools. The Southern Boone County School District had the honors of being the home district for both grant winners. 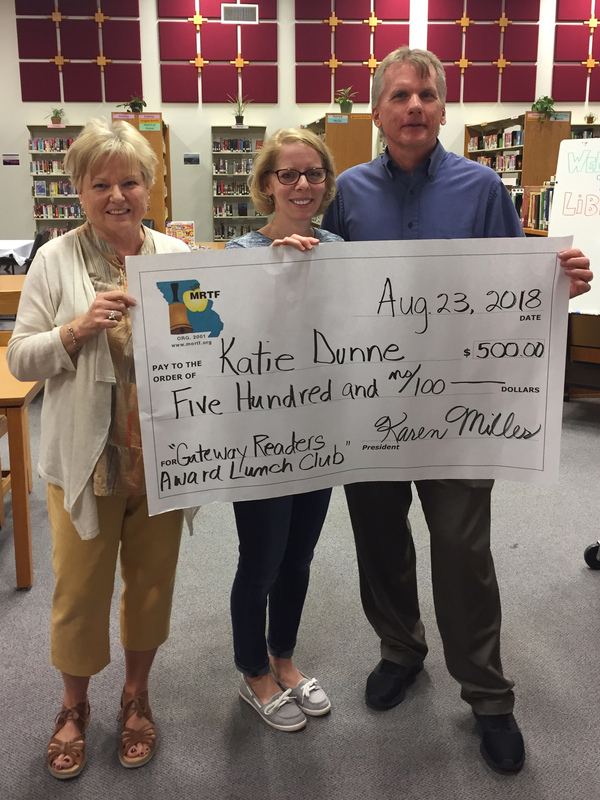 The first grant winner was Katie Dunne, a library media specialist at Southern Boone Middle School. Her grant was titled, "Gateway Readers Award Lunch Club." Katie is pictured here with Maureen Hacker (left) and her principal, Dale Van Deven, on the right. Katie is shown here with our group from BRTA. (l. to r.) Mary Ridge, Maureen Hacker, BRTA President Betsy Rall, Bill Moyes, grant winner Katie Dunne, Bonnie Mullen, and Cheryl Fadler. 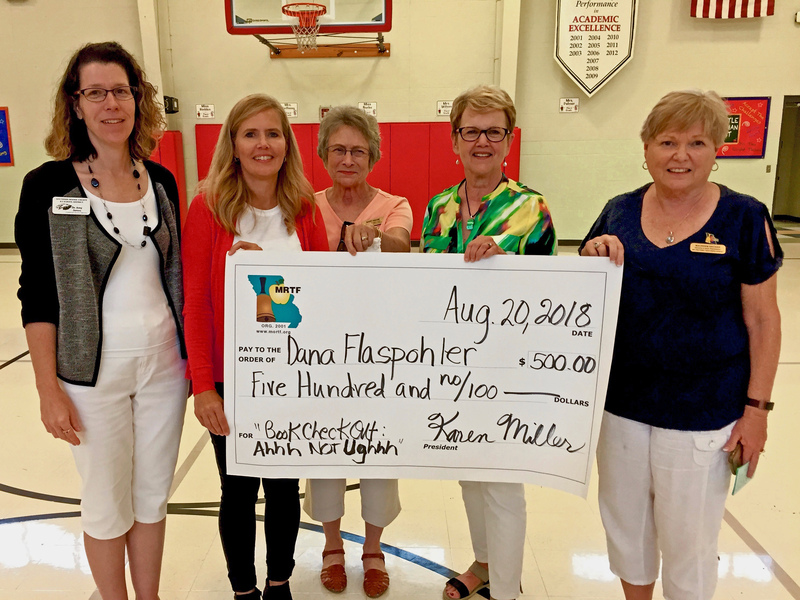 The other grant winner from Boone County was Dana Flaspohler, a reading specialist at Southern Boone Elementary School. Her grant was titled, "Book Check-out--Ah, not Ugh." 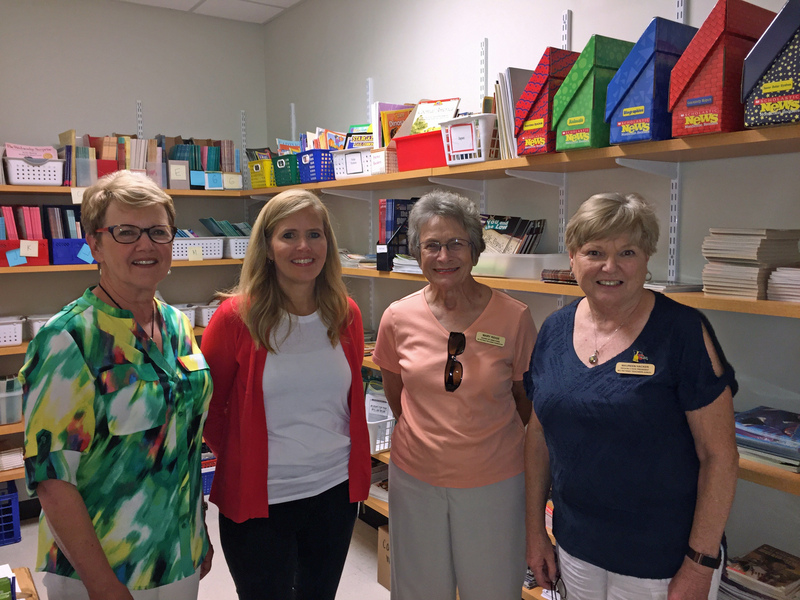 Katie is pictured here (l. to r.) with her principal, Dr. Amy James; Dana; BRTA members Mary Ridge and Kay Wallace; and Maureen Hacker. Dana is shown here in the book room she created along with with our group from BRTA. (l. to r.) Mary Ridge, Dana, Mary Ridge, and Region IV V-P Maureen Hacker.